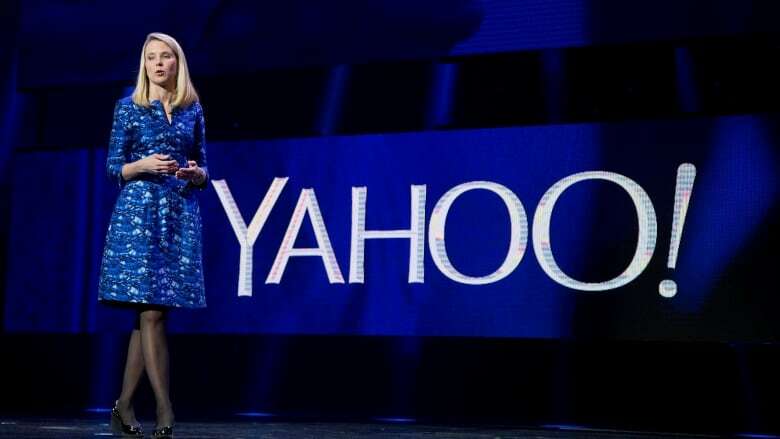 Yahoo has agreed to pay $50 million US in damages and provide two years of free credit-monitoring services to 200 million people whose email addresses and other personal information were stolen in one of the biggest security breaches in history. Yahoo has agreed to pay $50 million US in damages and provide two years of free credit-monitoring services to 200 million people whose email addresses and other personal information were stolen as part of the biggest security breach in history. The restitution hinges on federal court approval of a settlement filed late Monday in a two-year-old lawsuit seeking to hold Yahoo accountable for digital burglaries that occurred in 2013 and 2014, but weren't disclosed until 2016. It adds to the financial fallout from a security lapse that provided a mortifying end to Yahoo's existence as an independent company and former CEO Marissa Mayer's six-year reign. Yahoo revealed the problem after it had already negotiated a $4.83-billion deal to sell its digital services to Verizon Communications. It then had to discount that price by $350 million to reflect its tarnished brand and the spectre of other potential costs stemming from the breach. About three billion Yahoo accounts were hit by hackers that included some linked to Russia by the FBI. The settlement reached in a San Francisco court covers about one billion of those accounts held by an estimated 200 million people in the U.S. and Israel from 2012 through 2016. Claims for a portion of the $50 million fund can be submitted by any eligible Yahoo account holder who suffered losses resulting from the security breach. The costs can include such things as identity theft, delayed tax refunds or other problems linked to having had personal information pilfered during the Yahoo hack. The fund will compensate Yahoo account holders at a rate of $25 per hour for time spent dealing with issues triggered by the security breach, according to the preliminary settlement. Those with documented losses can ask for up to 15 hours of lost time, or $375. Those who can't document losses can file claims seeking up to five hours, or $125 for their time spent dealing with the breach. Yahoo account holders who paid $20 to $50 annually for a premium email account will be eligible for a 25 per cent refund. The free credit monitoring service from AllClear could end up being the most valuable part of the settlement for most account holders. The lawyers representing the account holders pegged the retail value of AllClear's credit-monitoring service at $14.95 per month, or about $359 for two years — but it's unlikely Yahoo will pay that rate. The settlement didn't disclose how much Yahoo had agreed to pay AllClear for covering affected account holders. The lawyers for Yahoo's account holders praised the settlement as a positive outcome, given the uncertainty of what might have happened had the case headed to trial. But Yahoo had disputed those damages estimates and noted many of its account holders submitted false information about their birth dates, names and other parts of their lives when they set up their email. The lawyers representing Yahoo account holders have a big incentive to get the settlement approved. Yahoo will pay them up to $37.5 million in fees and expenses if it goes through. Oath, the Verizon subsidiary that now oversees Yahoo, didn't respond to requests for comment Tuesday. A hearing to approve the preliminary settlement is scheduled for Nov. 29 before U.S. District Judge Lucy Koh in San Jose, Calif. If approved, notices will be emailed to affected account holders and published in People and National Geographic magazines.